So I’m not sure if you’ve heard… but my New Year’s resolution was to become a morning person. When I told Alex & my mom & my friends they all looked at me like I was an idiot & proceeded to tell me it was never going to happen. I like to sleep a lot more than the average individual. Prior to this little experiment I would have told you that I need at LEAST 8-9 hours of sleep to function as a contributing member of society. Now I would say it’s probably more like 7-8 hours. I have been extremely successful thus far & now have the time to not only make dinner on a more regular basis but also make it to the gym (which probably has something to do with me being energetic on 7-8 hours of sleep)! Here are the recipes I tried out last week. There is a good mixture of vegetarian & animal proteins, in my opinion. Preheat a skillet over medium-high heat. Slice tofu into rectangles. Add oil to the skillet and then the tofu. Spread tofu out into a single layer, season with salt, pepper, and garlic powder, and fry for about 5 minutes over medium-high heat. Flip each piece of tofu and fry for another 5-6 minutes, or until golden all over. Remove from heat and stir in the BBQ sauce to coat the tofu. Serve immediately with more sauce on the side if desired. I served this with gourmet (kidding) minute rice (Alex’s favourite) & steamed broccoli with chipotle salt! Preheat the oven to 350F and line a large baking sheet with parchment paper. Toast the walnuts for 7-9 minutes until fragrant and golden. Meanwhile, add the oats into the food processor and process until finely chopped. You want the texture to be like a coarse flour. Add the grated carrot, chopped parsley, basil, garlic, walnuts, and oat flour into a large bowl. Stir to combine. Add the drained and rinsed beans into the food processor and process until finely chopped. You want the mixture to be a coarse paste with some beans still intact, but don’t completely puree the mixture. Stir the processed beans & egg into the bowl with the vegetables & oat flour. Stir the oil, oregano, salt, pepper, and paprika into the bowl. Shape the mixture into 18-20 balls (the size of golf-balls), packing each ball tightly between your hands so it holds together well. Place each ball onto the prepared baking sheet an inch or two apart. Bake for 20 minutes, then gently flip the balls and bake for another 15-20 minutes until golden on both sides. Place cashews in a bowl of water and soak for at least 1 hour. Rinse and drain before use. Preheat the oven to 375F and line a baking sheet with parchment paper. Chop tomatoes and place in a bowl and mix with olive oil, vinegar, and season with salt and pepper. Spread out on prepared pan and roast for about 30 minutes. Remove and reduce heat to 350F. For the sauce: In a food processor, mince garlic cloves. Add the basil followed by the roasted tomatoes and drained and rinsed cashews. Stop to scrape down the side of the bowl. Add in the rest of the ingredients and blend until super smooth. Season with salt. Place your desired amount of tortillas on baking sheet. 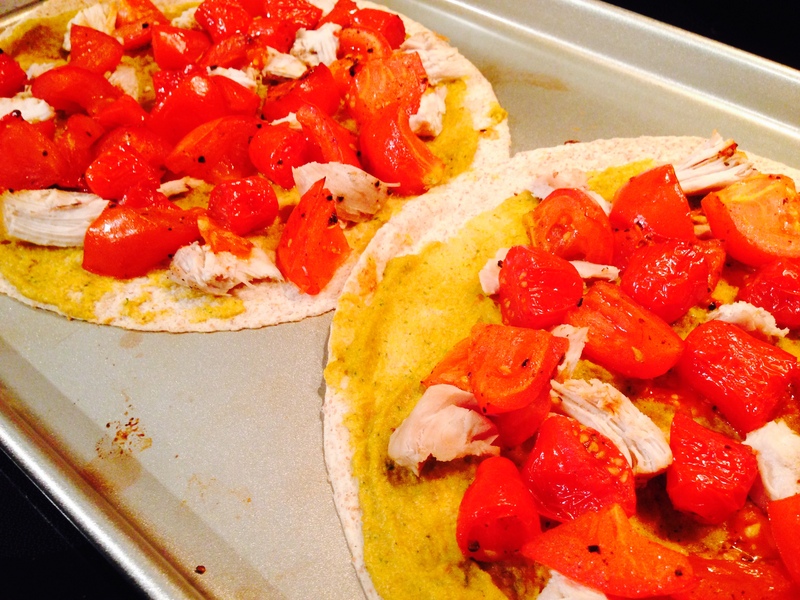 Spread sauce on each tortilla followed by a generous amount of roasted tomatoes. Bake in the oven for 13-15 minutes at 350F or until crisp and golden. Serve immediately. Peppered Apples: In skillet, melt butter over medium-high heat; cook apples, stirring often, until tender crisp, about 4 minutes. Stir in cider and honey; reduce heat to medium and cook, stirring occasionally, until apples are tender, about 5 minutes. Stir in pepper and salt. Set aside and keep warm. Sprinkle both sides of pork chops with salt and pepper. In large skillet, heat oil over medium-high heat; cook chops, in batches and turning once, until juices run clear when pork is pierced and just a hint of pink remains inside, 4 to 6 minutes. Transfer to plate; keep warm. Warm Chard Slaw: In same skillet, heat oil over medium heat; cook garlic, stirring, for 30 seconds. Stir in honey until melted. Stir in chard; cook, stirring occasionally, until wilted, about 3 minutes. Stir in lemon juice, salt and pepper. 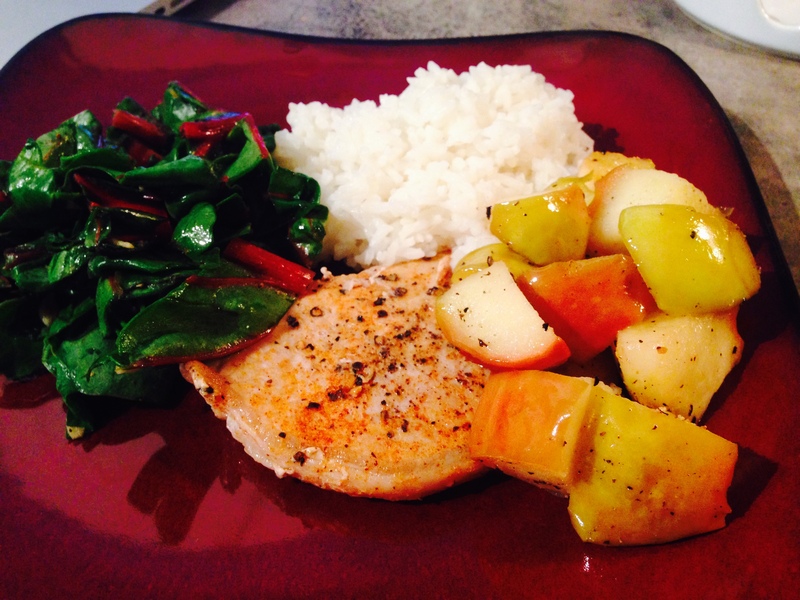 Serve with pork chops, apples & starch of your choice. In large nonstick skillet, heat oil over medium heat; cook leek, carrot and fennel, stirring occasionally, until softened and light golden, about 7 minutes. Stir in garlic, half each of the pepper and salt, the paprika, cumin and hot pepper flakes; cook, stirring, until fragrant, about 1 minute. Stir in tomatoes and 1/2 cup water; bring to boil. Reduce heat and simmer, stirring occasionally, until thickened, 6 to 8 minutes. Sprinkle shrimp and scallops with remaining pepper and salt. 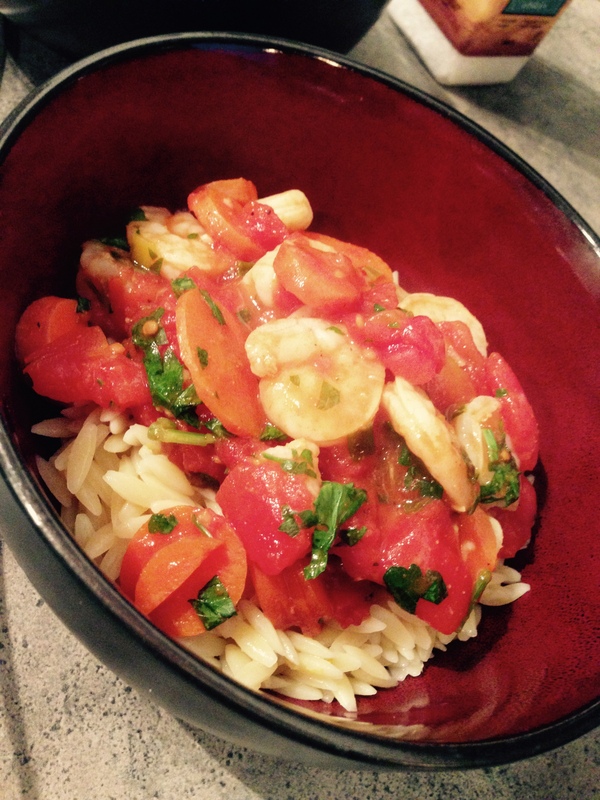 Stir into tomato mixture; cook, stirring occasionally, until shrimp are pink and scallops are opaque, 5 to 7 minutes. Stir in parsley. Lemony Orzo: Meanwhile, cook orzo according to package directions; drain. Stir in lemon zest and lemon juice. Serve with stew. I had the best holiday season this year! Between relaxing on the beach in Mexico, spending time with family and friends, and eating four (yes, four!) big dinners I couldn’t ask for anything else. 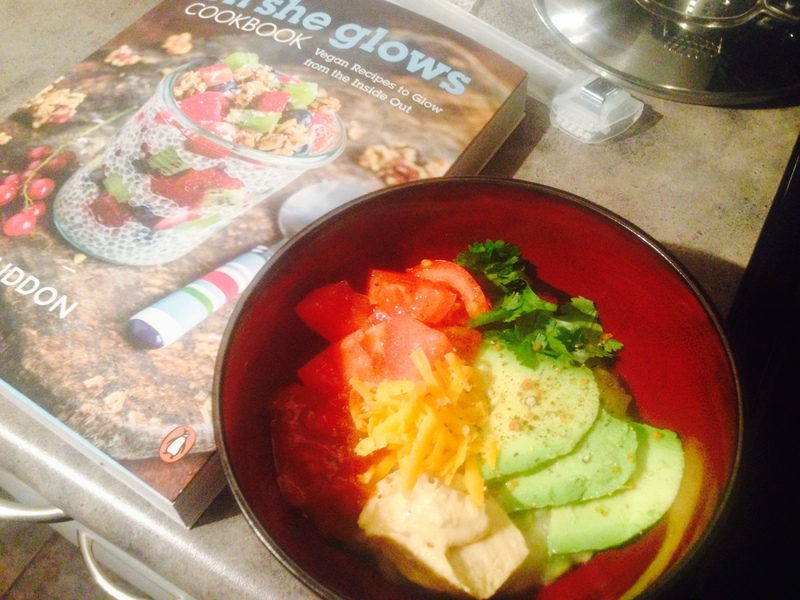 I got absolutely spoiled beyond belief (still cashing in on having divorced parents at 25 years old) but I have to say that one of my favorite gifts this year was the Oh She Glows cookbook by Angela Liddon. I have been following the Oh She Glows blog for the past 6 years and I absolutely love everything about it. She has a really cool story including overcoming an eating disorder, starting a small business selling Glo Bars at the Farmer’s Market, and eventually transitioning to a full time job creating recipes, taking photos of her food, and blogging about it! 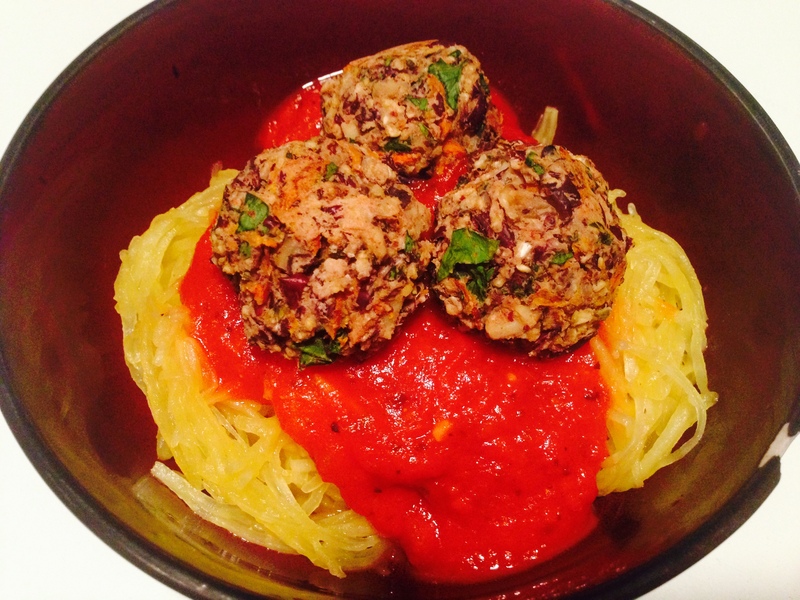 Although I don’t follow a vegan diet, I find her recipes so creative and super tasty! I usually make easy non-vegan swaps such as using cow’s milk instead of plant milk, regular eggs instead of flax eggs, regular cheese instead of vegan cheese.. you get the idea. So for the first week of post Christmas gluttony I decided to plan all of my meals out of my new cookbook! Alex loved the sound of all the recipes right until I let it slip that we should probably add meat to one of the meals, considering they’re all vegan…”That’s a vegan cookbook?! If I would have known that I wouldn’t have told my brother to buy it for you! !” Needless to say, when all was said and done he was more than satisfied with everything he ate! PS. I have added/changed a few thing as compared to the original recipes. – Preheat oven to 425 degrees F and dry chickpeas thoroughly with paper towels. – Transfer chickpeas to a bowl and combine with olive oil, oregano, paprika, garlic powder, onion powder, and salt. – Line baking sheet with parchment paper and spread chickpeas in even layer on the baking sheet. – Bake for 15 minutes, shake pan from side to side and cook for 15 minutes more. – Let cool on baking sheet for 5 minutes. – In a large saucepan, heat olive oil over medium heat. Add onion and garlic and saute for 5 minutes. 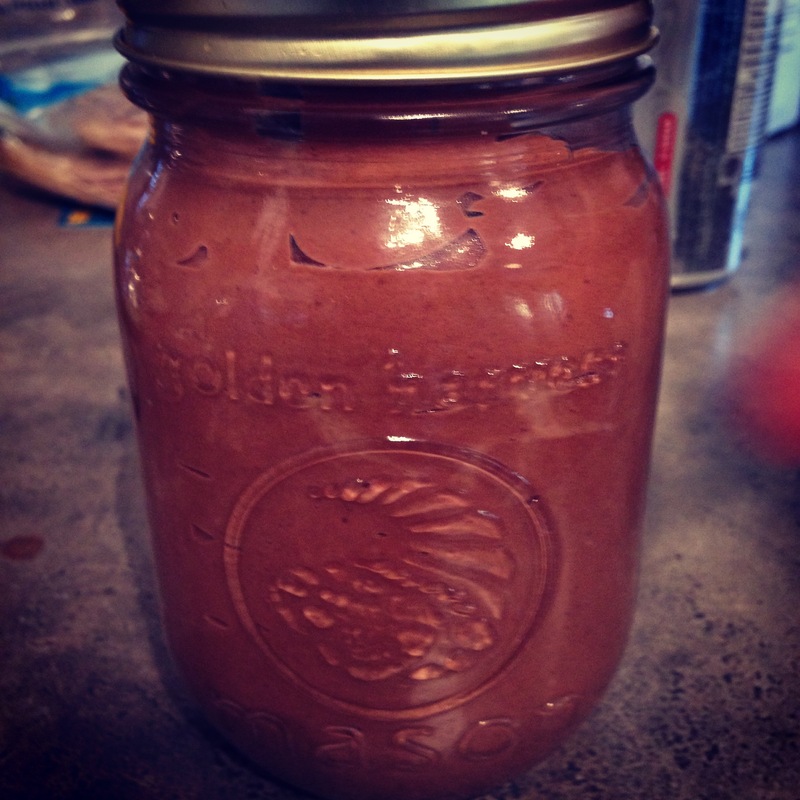 – In a blender, combine soaked cashews and broth and blend on high until creamy. – Add garlic/onion mixture, tomatoes, sun-dried tomatoes, and tomato paste and blend until smooth. – Pour tomato mixture into saucepan over medium high heat. Bring to a simmer and stir in oregano, salt, and pepper. 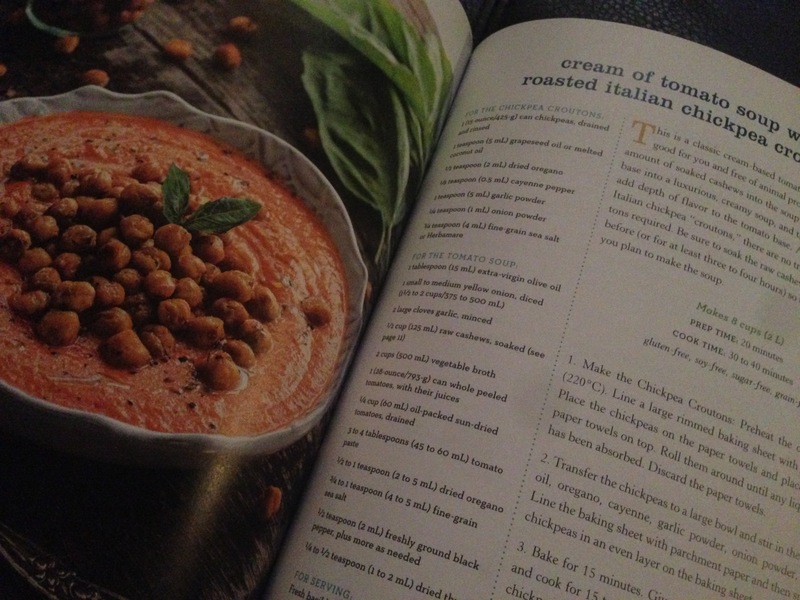 – Top soup with 1/2 cup of chickpea croutons and enjoy! – In a food processor, combine garlic, sesame oil, peanut butter, ginger, lemon juice, soy sauce, sugar, and 3 Tbsp water. Process until combined. – Cook the soba noodles according to package instructions. Be sure not to overcook them. Drain the noodles and rinse under cold water. Transfer to a large bowl and drizzle with olive oil (to prevent noodles from sticking). 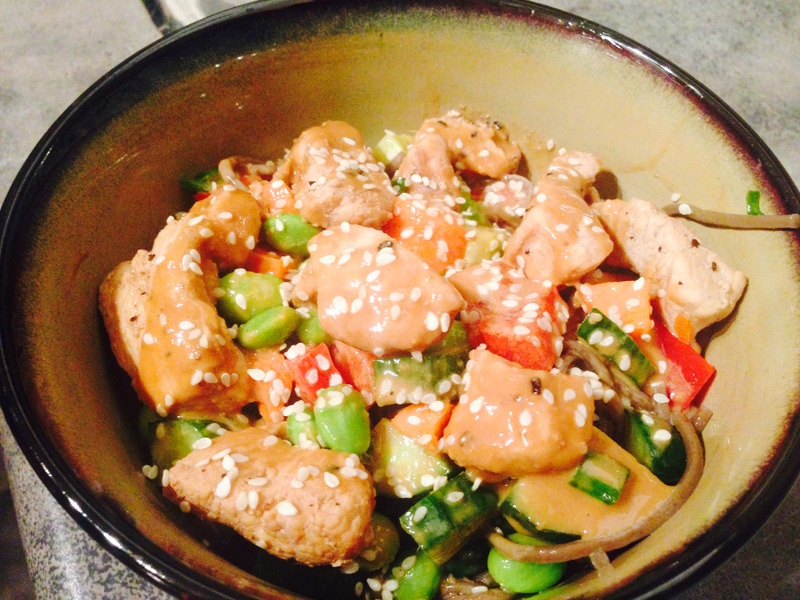 – Add chicken, edamame, pepper, cucumber, carrot, green onion, and cilantro to noodles. Toss until well combined. – Garnish with sesame seeds. – In a medium saucepan, combine the oats, lentils, broth, garlic, and onion. Bring the mixture to a low boil over medium high heat. Reduce the heat to low and simmer, uncovered, for 12 minutes, or until thickened. Season with salt and pepper. – In a large saucepan, saute the onion, garlic, ginger, and serrano in olive oil. Cook for a few minutes and add garam masala, cumin, coriander, tumeric, salt, and paprika and cook for 2 minutes. 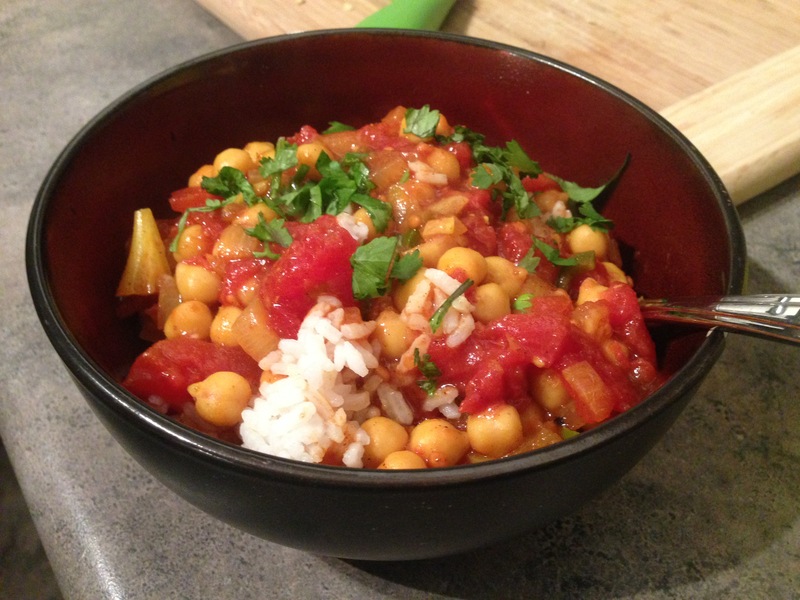 – Add diced tomatoes, raise heat to medium high and add the chickpeas. Simmer for 10 minutes. 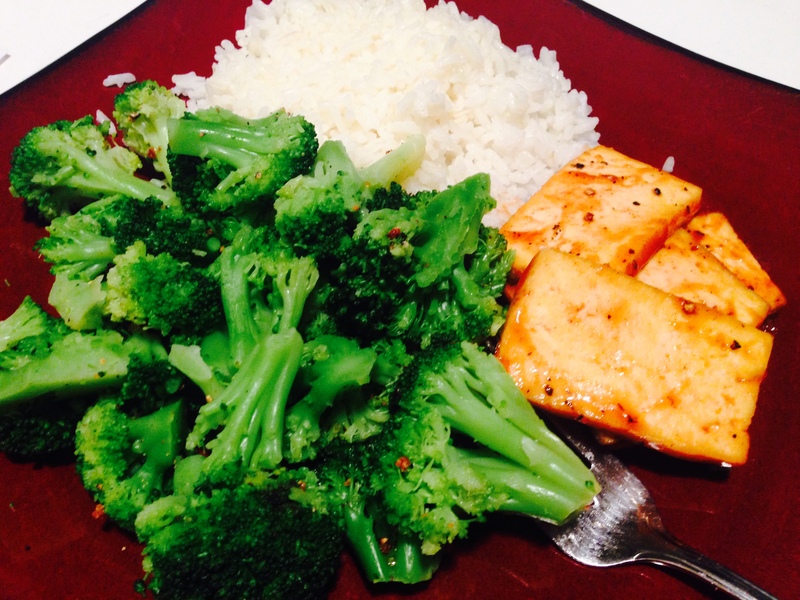 – Serve over rice and top with lemon juice and fresh cilantro. 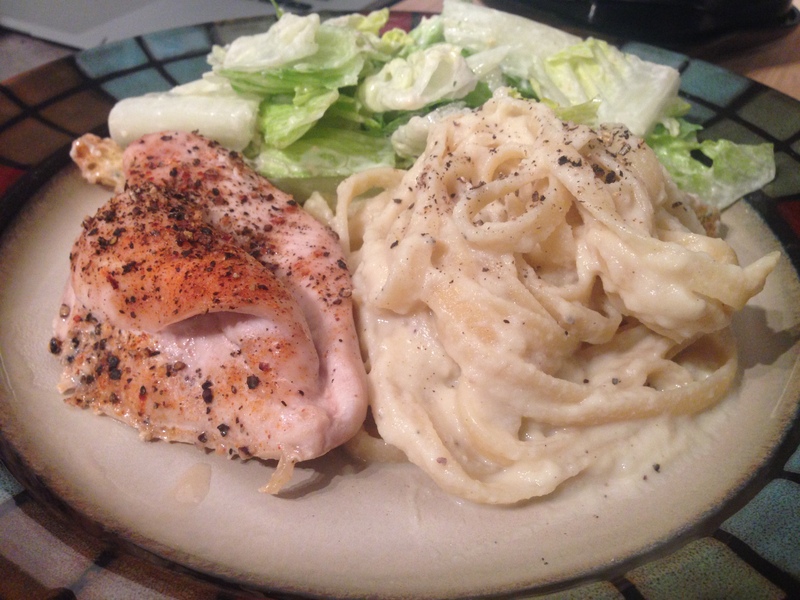 Serve along side a baked chicken breast and Caesar salad! – Add cauliflower florets to a large bowl, add water and microwave for 5 minutes or until heated through. – Meanwhile, add oil into a skillet and saute the minced garlic over low heat for 4-5 minutes until softened and fragrant. – In a blender, add the cooked and drained cauliflower, sauteed garlic, milk, nutritional yeast, lemon juice, onion powder, garlic powder, salt, and pepper. Blend until a super smooth sauce forms. Set aside. – Bring a large pot of water to a boil. Add your desired amount of pasta and boil for the time instructed on the package. Drain pasta. – Add cauliflower sauce into the pot and add the drained pasta. Heat over low until heated through. Salt to taste.